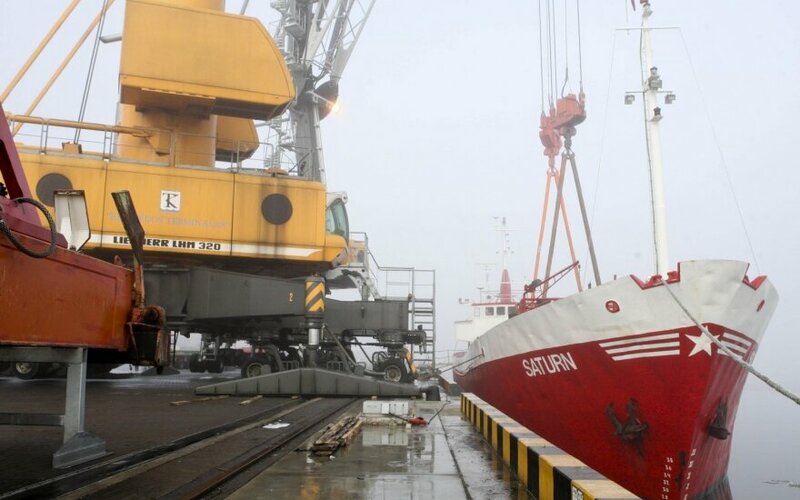 Lithuania's port of Klaipeda plans to further deepen the Malku Bay in southern part of the port and is set to launch a contractor tender. According to the port, around 753,000 cubic meters of soil will be removed from the bay during the second stage to reach a depth of 14.5 meters. Work is due to start by September and should be finished by June, 2020. After the bay is deepened, companies operating in this part of the port will have better conditions for expansions projects and accepting Post Panamax ships, thus, raising terminals' capabilities and improving the port's competitiveness, Dovile Ringis, spokeswoman for the port, said. The port announced the conditions of the future tender on Wednesday and plans to call the tender by June 6. The Netherlands' Van Oord is carrying out the deepening work, worth 15.63 million euros, during the first stage which is due to be finished by the end of June. 57 million euros have been allocated from the EU's cohesion funds for the total bay's deepening project. Companies in the bay include Klaipedos Konteineriu Terminalas (Klaipeda Container Terminal, KKT), Klasko stevedoring company, Malku Ilankos Terminalas (Malku Bay Terminal) and its subsidiary Vakaru Krova (Western Stevedoring).